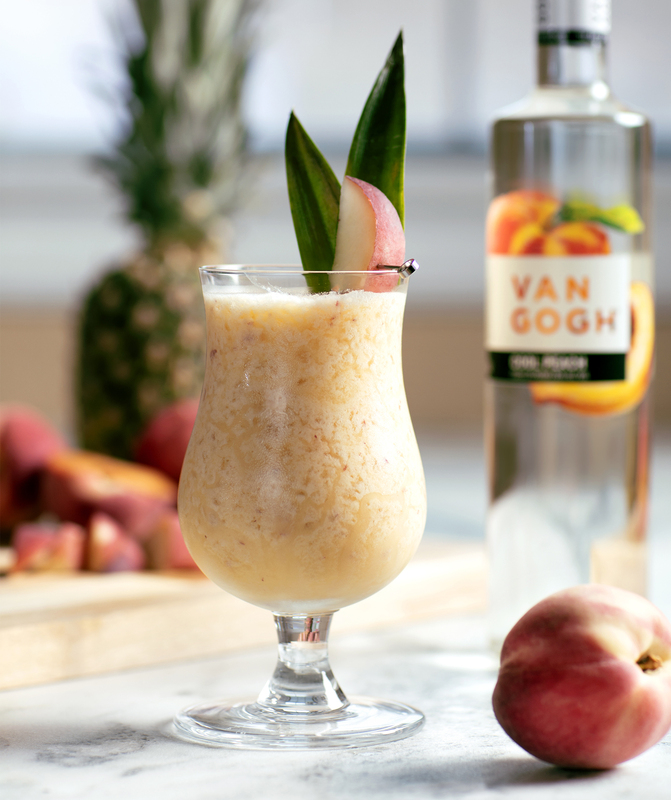 Add a peach twist to your traditional Piña Colada with the Cool Peach Colada. 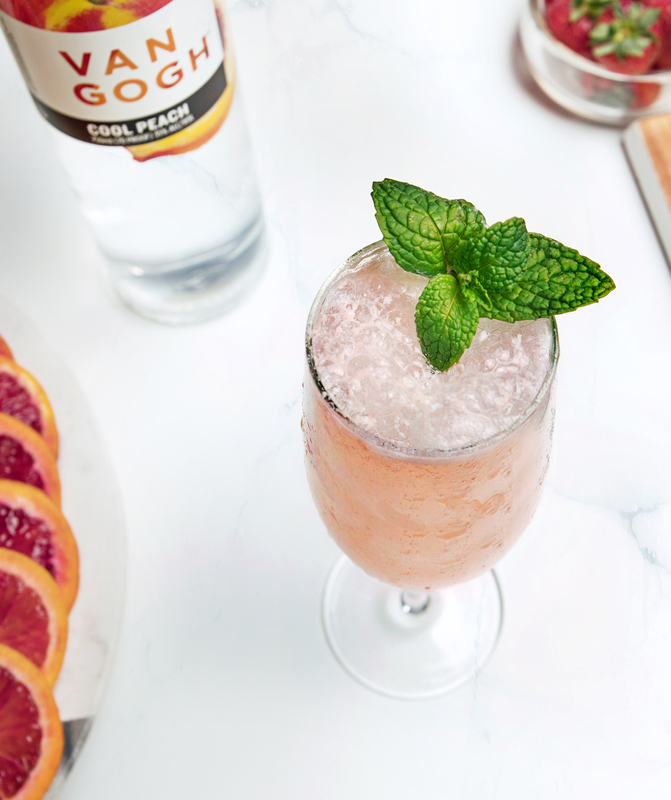 Crafted with our Van Gogh Cool Peach, this remastered classic is perfect for a quick party cocktail or simple summer drink. 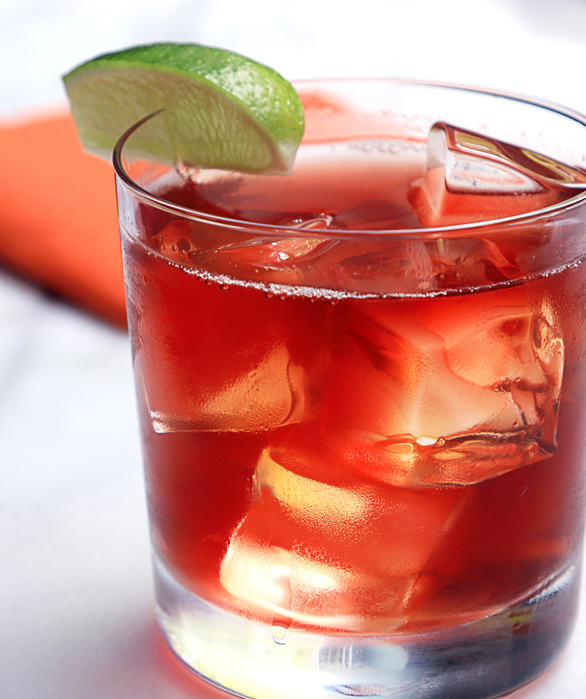 Combine ingredients with ice in blender and pour into a hurricane glass. 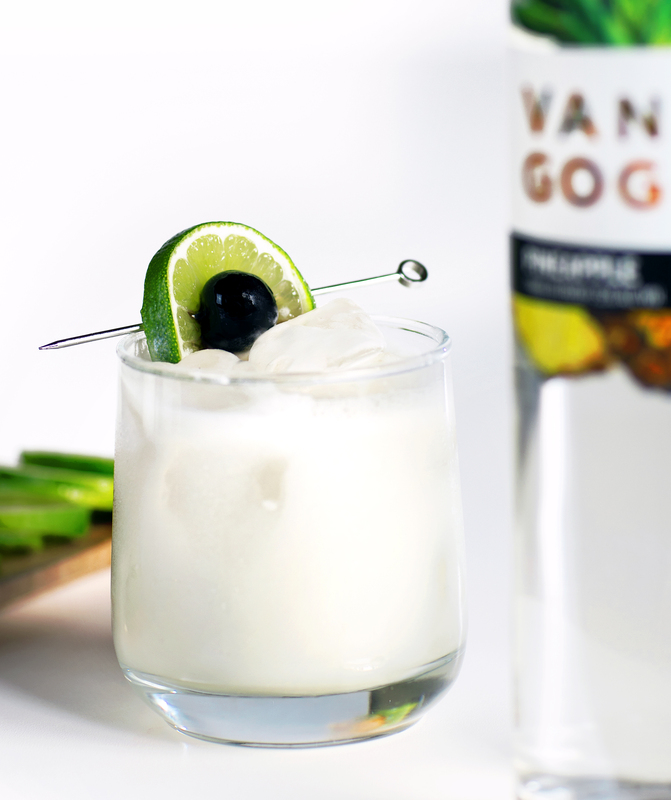 Garnish with a pineapple leaf.